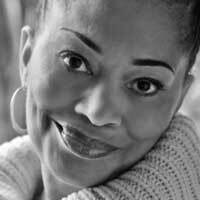 Terry McMillan is the author of eight bestselling novels, which often address concerns of modern-day African American women. In her first novel, Mama, for which she won the Doubleday New Voices in Fiction Award and the American Book Award, McMillan writes about the struggles facing a young black mother of five who must provide for her family while trapped in an abusive relationship. McMillan built upon the insights of this breakthrough work in her later novels, such as Disappearing Acts, How Stella Got Her Groove Back, and Waiting to Exhale. These novels were adapted into films, and Waiting to Exhale, directed by Forest Whitaker and starring Whitney Houston, was a box office success and winner of eight awards for film and music. In her latest work, Getting to Happy (Sept. 2010), McMillan revisits the four main characters of Waiting to Exhale and looks at their lives fifteen years later. McMillan has received a National Endowment for the Arts Award, NAACP Image Award and the Essence Lifetime Achievement Award for Excellence in Literature.